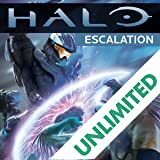 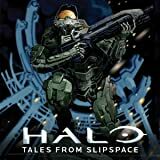 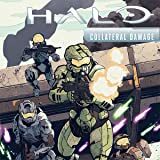 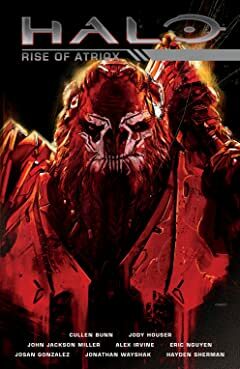 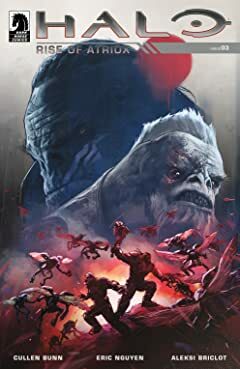 This anthology comic series is based on Halo Wars 2, the real-time strategy video game from 343 Industries, which features the new ruthless villain in the Halo franchise, Atriox, whose defiance of the alien collective known as the Covenant is unmatched. 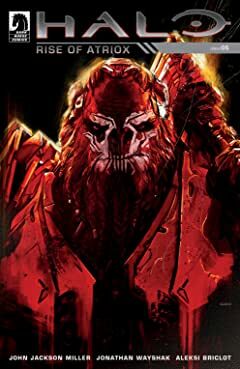 Atriox, the legendary Brute who questioned the Great Journey and the will of the Prophets as he watched his comrades die for their cause. 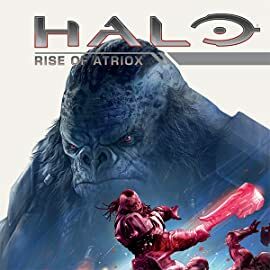 Atriox, who created the faction known across the universe as the Banished! 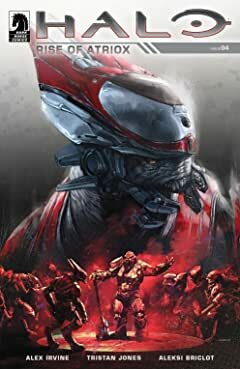 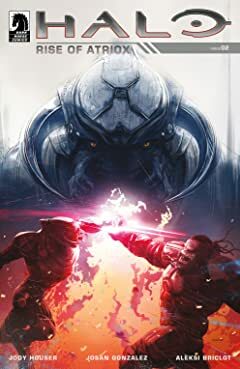 The story of Atriox, his rise to power, his contempt for the Covenant and the formation of the Banished is told across this five-chapter anthology featuring characters and stories from Halo Wars 2.This collects stories by acclaimed comics creators Cullen Bunn, Jody Houser, John Jackson Miller, Alex Irvine, Claire Roe, Josan Gonzalez, Jonathan Wayshak, and Tristan Jones. 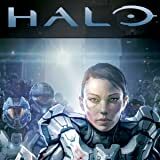 Following the events of Halo 4, the UNSC Infinity is deployed to security detail for a peace summit between the Elites and Brutes. 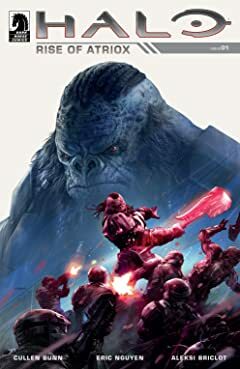 When the negotiations are ambushed by a mercenary fleet, Infinity is drawn into a plot which leads them to the discovery of a long-lost UNSC asset trapped behind enemy lines.